With under a week to go until the Local and European Elections on Thursday 22nd May Jason visited Kirklees College and Huddersfield New College to host Q&A sessions with the students. 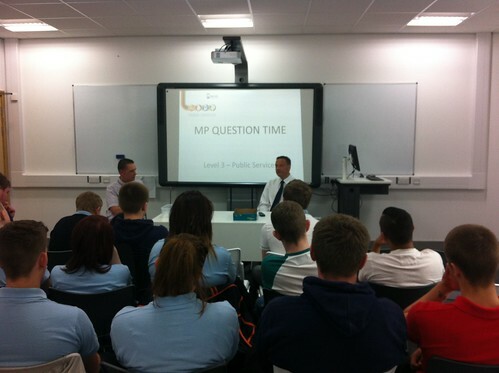 Jason answered questions from the Public Services course students at Kirklees College (pictured above). 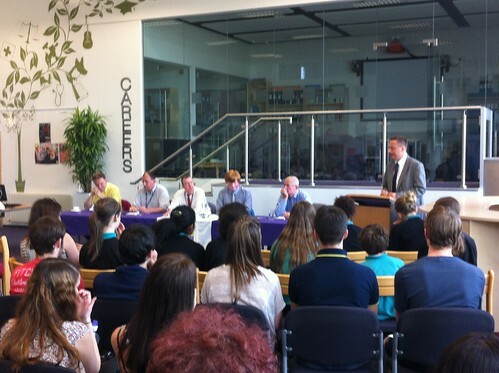 At Huddersfield New College (pictured below) Jason was joined by representatives from Labour, the Liberal Democrats and the Green Party in a Question Time format.